At least the Alonso to Red Bull business served some tangible purpose, in that it smoked out confirmation of something that had been rumoured for a while: that not all is well right now in the Fernando Alonso-Ferrari relationship. 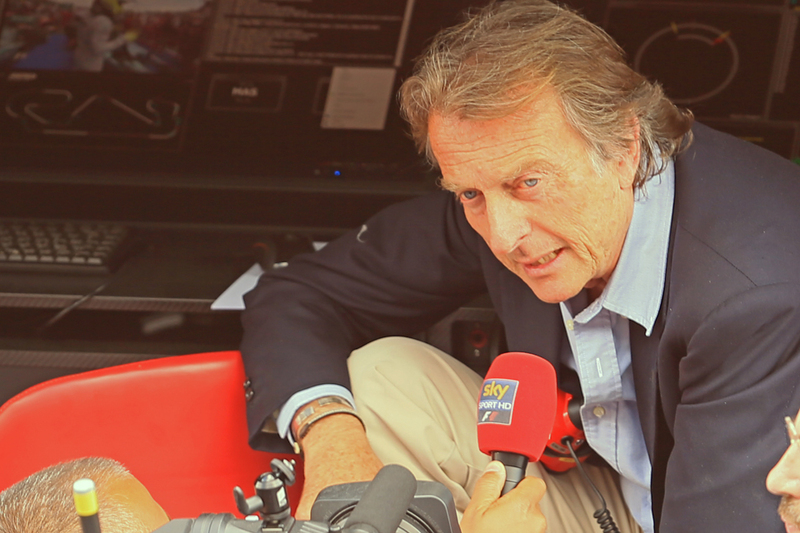 And in case the subtlety was lost on anyone, Ferrari President Luca Montezemolo made sure no one missed it. His statement of the following day, telling us that when wishing Alonso a happy birthday he also 'tweaked his ear' on the matter of loyalty, in response to what is referred to as 'rash outbursts' and 'comments from Fernando Alonso, which did not go down well'. Not one for party hats and balloons, clearly. Looking through Alonso's public comments after the Hungary race it's difficult to see what got the boss's back up. Beyond the sort of stuff from Alonso on needing to improve the car that he's been saying for about the last three years, the only thing was something he said to Italian journalists in response to a question on what he'd like for his birthday, something that loosely translated to 'the car of the others'. But even so, and particularly given Alonso rather has a right to feel frustrated at the moment, the reaction from Montezemolo seems utterly disproportionate. And one that you suspect reacted, a little too much, to the Alonso to Red Bull rumour. To respond in such a prickly fashion apparently to Alonso's 'comments' seems a classic case of displacement. Sadly for the Scuderia it does have something of a previous when it comes to hounding its star drivers towards the exit door, and being rather over zealous in doing so. As is often noted Alain Prost was unceremoniously and immediately dumped towards the end of the 1991 campaign after likening his car unfavourably to a truck. Niki Lauda's relationship with the team unravelled after Carlos Reutemann was recruited to the driving staff, seemingly to replace him, after his fiery Nurburgring accident which nearly killed him. John Surtees was shown the door for his repeated criticisms of his engine's power output. Even the revered Gilles Villeneuve would likely have joined this list, most probably to join McLaren, following what he saw as his team's lack of support after being 'duped' by his team mate Didier Pironi at Imola, had tragedy not intervened first in the next round at Zolder. Kimi Raikkonen and Michael Schumacher also left rather under a cloud. Wanting loyalty from your pilots is one thing, but Ferrari's antics have at various points given the impression of cutting off one's nose to spite one's face. And we know that Alonso is a proud man. He hasn't bitten (yet) in response to Montezemolo's statement, but it does seem to be rather sailing close to the wind for Ferrari to be having a public pop at one of the few good things that the team has had in recent times. It rather puts me in mind of something the team's then-Technical Director Steve Nichols said when the team was awarding Prost a financial settlement after sacking him: that Ferrari was in a heck of a mess, and the one guy that might be able to get them out it, they're paying him not to drive for them! In other words, if Ferrari wants to blast its own feet off by forcing Alonso out then good luck to them. Yet, we should not get ahead of ourselves: we remain way short of a parting of the ways. And helping this is a couple of things. Alonso is under contract, plus even if he was to leave (and if he really wanted to engineer a sacking then he could probably manage it) it's not obvious where better he could go in the immediate term. 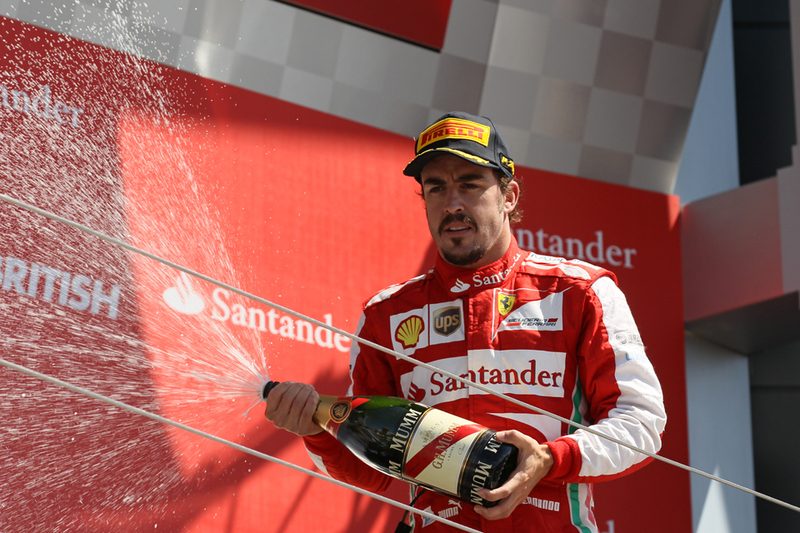 Plus a new set of rules which send all teams back to base camp awaits in 2014, as does James Allison later this year, so it seems in Alonso's interests to sit tight. And equally Ferrari doesn't seem overloaded with options either. Among drivers that approach Alonso in terms of quality only Kimi Raikkonen seems available for 2014, and not only did that link up not particularly work the last time they tried it, apparently he and Montezemolo rather burnt their boats upon their separation. One heck on an reconciliation would be required. Thankfully for the Scuderia these days it's not nearly the over-strung over-political environment that it once was. Ironically it was Montezemolo's return to the team in late 1991 more than anything else that ensured that the team mended its ways. And the statement from Ferrari that followed the day after Montezemolo's was rather dripping with a desire to row back from the dangerous waters it had found itself in. Now that both sides have made their point as it were, proceeding as you were at least in the short term seems by far the most likely course.